it delivers +15/-15 but have a cyclic some kind of "leakage". my voltmeter is just a cheap "hobby" tool, i don't know if it is enough reactive to show the real voltage drop but i can already see a leakage at each "cycle"
Finally, here is my recording of different settings on this pedal. Hey there ! If I were to use polarized instead of non polarized caps, how should I orientate them ? kyuss wrote: Hey there ! If I were to use polarized instead of non polarized caps, how should I orientate them ? I just finished building mine and I absolutely LOVE it! 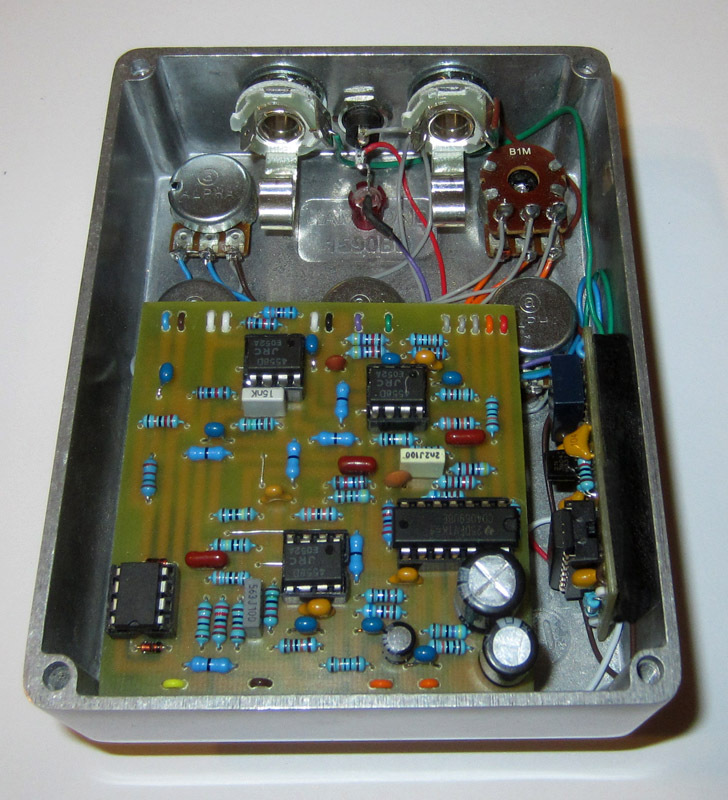 If any of you have Eagle or Diptrace files for this I'll happily fabricate a board for you. I'm lazy and don't feel like doing the layout myself. Can someone please explain,what is going on there? I have trouble to buy them. But what is the purpose of this part??? They're probably there to protect the op-amp output from odd DC voltages that might eventually be present in the superseding stage. johnk wrote: I just finished building mine and I absolutely LOVE it! Very nice! 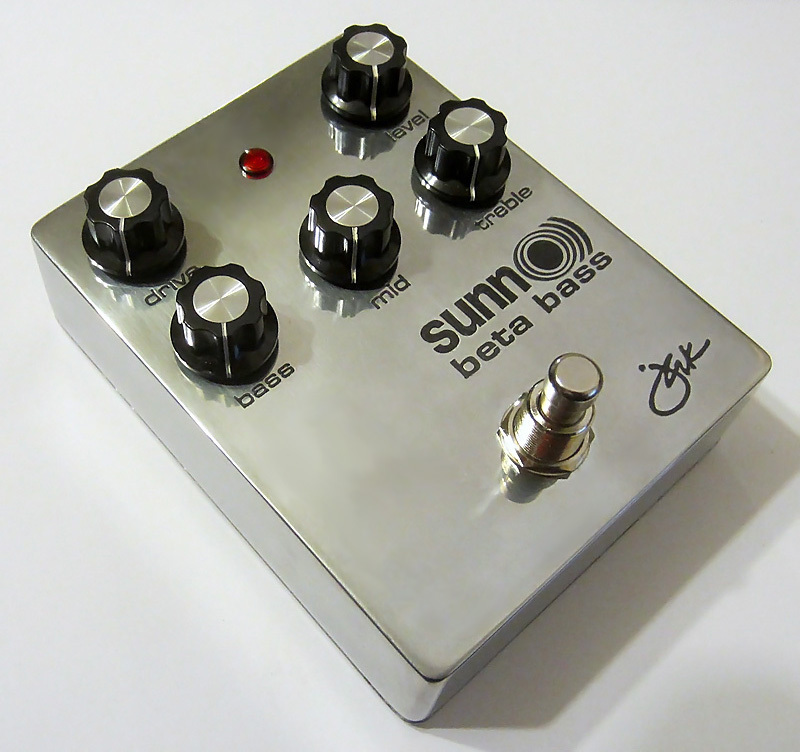 I'm thinking of putting together a beta bass/lead pre to feed into a small class D power amp for use as a small pedal friendly practice amp and this looks just the ticket. [quote="johnk"]I just finished building mine and I absolutely LOVE it! John, this looks fantastic. I know there's no lack of box finishing info on fsb, but how did you get such clean engravings? It looks CNC'd. Anyone want to hook a brother up with a labeled pcb? Was there a verified layout made available by someone here also? As far as I can see this file does not have the layout completely done. I started doing a beta lead thing a few years ago, but never finished it, this thread got me going again! use tagboard layout, and a 7660 for bipolar converter (I've got +/- 17V, it works but I will put a 15V zener diode to get +/- 15V), layout is a tribute to P. Druillet. Really good! Thanks to all FSB community! This is very much unverified w.r.t. component values etc. but should be correct, and... since it's mains powered, use at your own risk. I'm not responsible if you burn your house down, or kill/injure yourself or others. I've taken the mains part out of the schematic anyway, it's just the part from the low voltage AC input forwards.